The Glidecam system is an advanced yet affordable camera stabilization system that’s popular with indie film makers and wedding videographers. If you want to create extremely smooth and graceful shots similar to those produced in big budget Hollywood films, this course is for you. 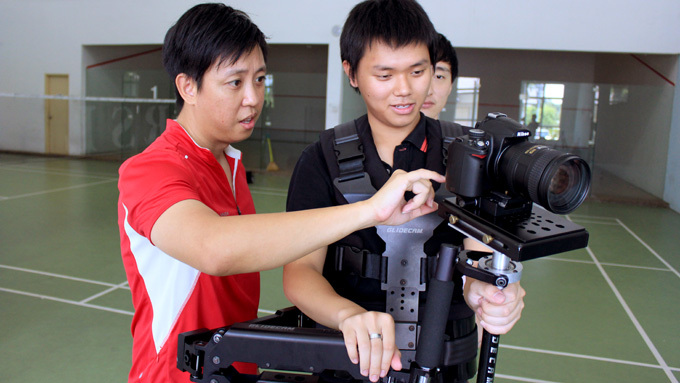 Our Glidecam authorized trainer will teach you how to walk, run, jump, climb stairs and still get steady videos. Perform graceful dolly and tracking shots. Learn more advanced camera moves like and perform the switch (Missionary and Don Juan), pass-by, arching (circling). You walk, run and jump but still get steady footage.